A little over a week ago there was frost on the ground in the morning, yesterday it was 90° with 50% humidity. That is a pretty drastic swing and made for a tough time in the shop, but I have to take my shop time when I can get it. I did manage to get in about an hour after work a few days this past week and I used that time to begin working on the drawers. These drawers are a new-to-me arrangement. They will ride on runners that mate to grooves plowed into the drawer sides. This is actually a very old method. Charles Hayward dated this method to the mid 17th century. This dating is also backed up by Peter Follensbee’s work and research. So what’s old is new again. The drawers are pretty basic. The front is attached to the sides with a single lapped dovetail which will be pegged as per my usual. 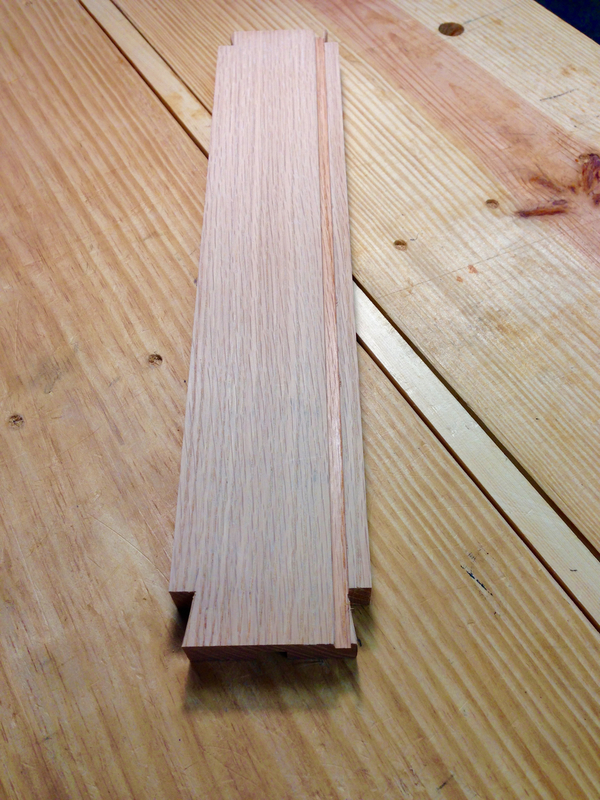 The back will be attached with a single thru pegged dovetail. The bottom will be completely housed on all four sides within a plowed groove. I can house the bottom this way because it will be made from birch ply and will not be subject to much wood movement. 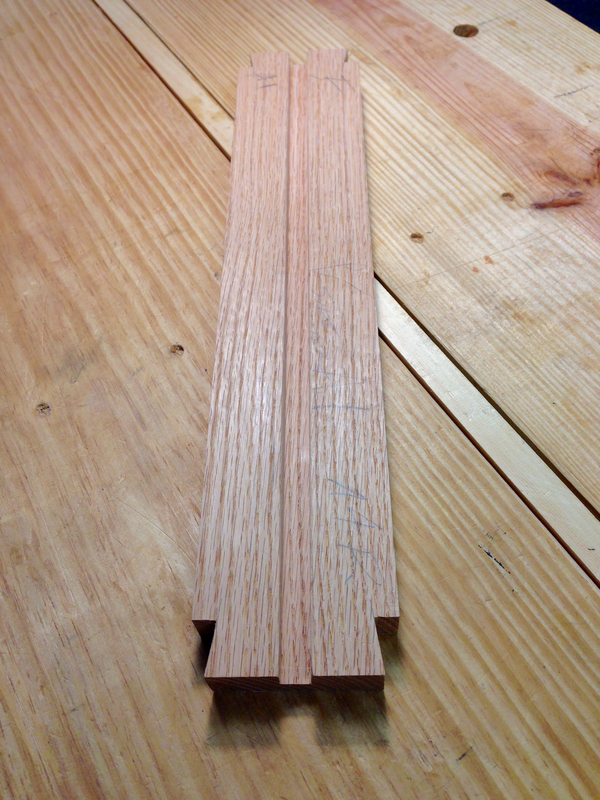 The sides are made thicker to accommodate the groove for the runner. I’m making the entire drawer from oak, save for the bottom. The oak front will match the legs and the oak sides will provide a more durable wear surface for riding on the runners. The back is oak as well. It seemed silly to make it out of pine with the sides and front from oak. The bearers that hold the runners will be oak as well and the actual runners will be from maple. The grooves for the runners in the drawer sides are 1/2″(12mm) wide and 3/8″(10mm) deep and are located down the centers of the sides. This is pretty much the limit for my little Record 043 plow plane. A light cut and a little oil saw me thru all four sides for the two drawers. The good thing is that the grooves for the bottoms seemed super easy in comparison. A lot less grunting from me and the 043. 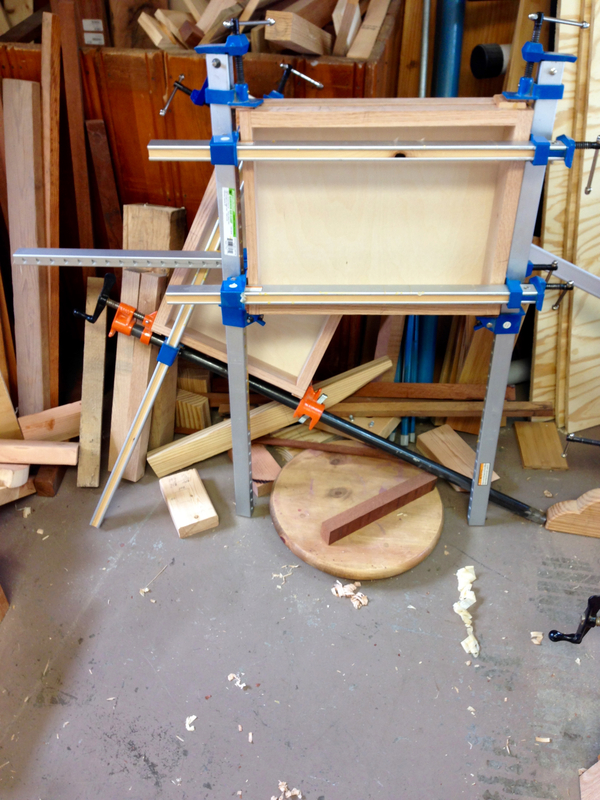 Once all of the drawer parts were completed, I jumped into the glue up. An application of OBG liquid hide glue to all of the mating surfaces and then into the clamps. Once the glue sets I’ll add the pegs. The bearers and runners still need to be addressed as well. Dang! The scrap pile is getting out of hand! 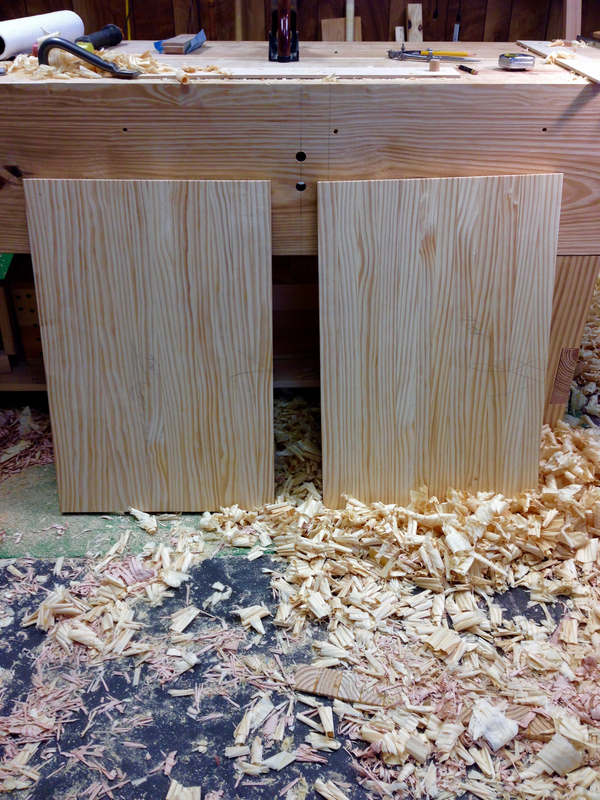 I also managed to surface the second top slab and cut it to final size. The big brown truck also brought the oak for the legs and a drawknife. More on that later. 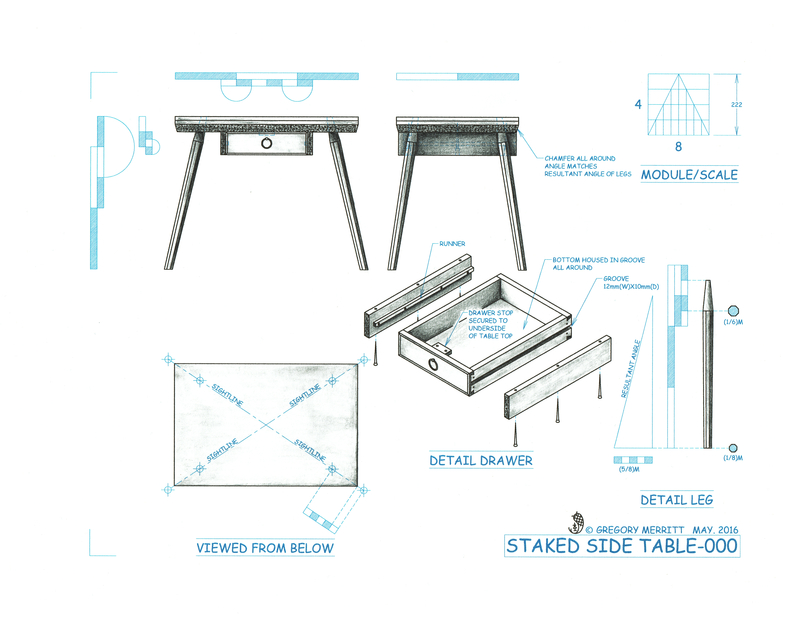 This entry was posted in Staked Side Table-000 and tagged drawer, liquid hide glue, record 043, slab top. Bookmark the permalink.